If there is one subject that frustrates many business owners, it's marketing. You know you can create beautiful photography, but you just can't seem to find the right clients (or enough of them!). You are working hard every day, posting online, handing out business cards whenever you can, but the work just isn't coming in. What do you do? The answer is in the classes below. Marketing is a complex topic, but it is one that can be learned. Once you have a solid idea of who you are as an artist, what you want to offer your clients, and how you can meet their needs and fulfill their desires, you'll be ready to create a killer marketing plan and implement it every day so that booking calendar starts filling up! ALL the classes below (and dozens more) are included in your Masters Collection membership. If you're not a member yet, Join now! Looking for a specific course? You can search the courses HERE. Before you know how to market to your ideal clients, you have to know WHO they are! In this super practical class, Gretchen helps you identify your specific target market so you can tailor your marketing message right to them. What do you do if you want to supercharge your marketing efforts, but you don't have unlimited money to spend? Sarah gives tons of practical ideas in this course, teaching you how to saturate your market with your marketing message, and do it all without blowing your budget. This concise, easy to follow class takes the mystery and guesswork out of marketing. 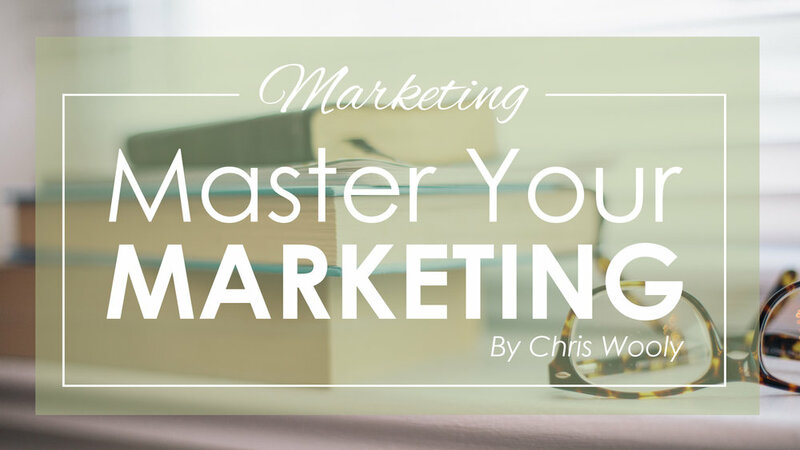 If this is a topic that has confused you in the past, you'll enjoy Chris's straightforward, down-to-earth teaching style as he demystifies the basics of marketing and sets you on a path for success. For many successful photographers, networking plays a huge role in their overall marketing strategy. But getting to know other professionals and business owners can be downright scary if you're new to it! Gretchen gives tips that are easy to start implementing right away and help take the fear out of this daunting topic. Does marketing make you uncomfortable? Do you wish it felt more natural and less like you’re always being a salesperson? Do you hate the idea of networking events and approaching strangers with your business card? Welcome to Deep Marketing – a class taught by two confessed introverts who have successfully built their business with these relationship-based marketing techniques. Sometimes you just need a few quick marketing ideas to jump-start your imagination and get the wheels turning. Dorie brings you a fast-paced class of 100 quick marketing ideas so you can choose the ones that are perfect for your personality and brand! Do you ever wonder what it takes to reach and market to the wealthy? To make that $10,000+ sale? Do you find yourself wondering how you can be a loud enough voice to be heard by this highly targeted audience? Janna will give you solid tools and activities to reach the well-off clients with a marketing message they will hear and receive. Step outside the box and consider some new ways to market yourself! Aly will discuss short term marketing techniques with immediate results and long term marketing techniques to lay the foundation for continued success. Some fun ideas for the extrovert in you and some behind the computer ideas for the days you’d rather stay home (but you need both!). While many people have heard about Facebook groups or even started one for their business, few know how to start one, keep it going and use it as a tool to market their brand. In this class Faith will help you determine if a VIP Facebook group is right for you, walk you through how to set it up, help you build an engaging community, and grow your business with your ideal clients. You know you need to MARKET outside of social media but do you struggle to know where to start? In this practical class, Gretchen will show you how to form and leverage partnerships with other business owners, to create a plan that benefits both of you, and to finally make progress marketing away from social media. If you're not a member yet, you can join the Masters Collection today to instantly access these and dozens of other full-length classes for a low monthly fee.